EDINBURGH business Carbon has won the Gold Standard Award for Independent Financial Advice for a sixth successive year. 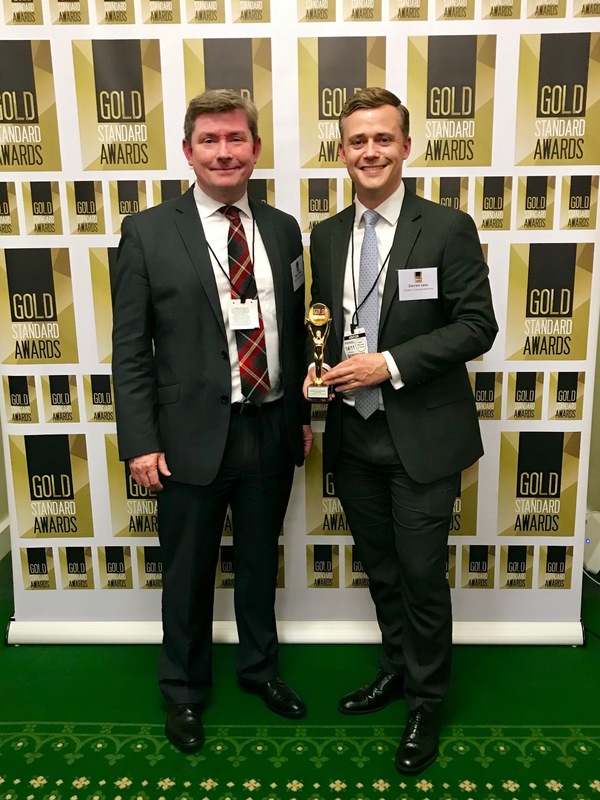 They are one of just eight firms across the UK to receive the accolade this year..
Investment director Barry O’Neill and London office director Darren Lees attended the awards ceremony in the House of Commons. The 2018 Gold Standard Awards were judged by an independent panel of experts chaired by Rosy Anand, head of marketing, workplace savings and defined benefits solutions at Aviva..
“Only a handful of 5,000 plus financial advisory firms across the UK achieve the Award each year, so to be one of them is a great honour. Entrants are asked to complete a lengthy questionnaire to demonstrate strength in five ‘pillars’ of their business: Financial Strength, Capability, Service, Fair Value and Trust. They must show in detail how they have gone above and beyond the standard requirements of the industry, and how they have improved on their offering of the previous year. Businesses must also show a commitment to furthering levels of trust throughout the wider financial industry.